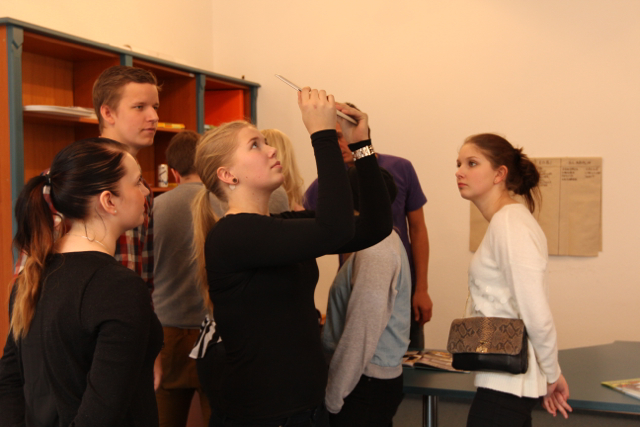 The Embassy of Finland organized a visit of 30 Finnish students studying business administration to Hungary, Budapest. They visited several companies, and among them our HQ as well, where our CEO and our project managers gave them a short tour in Augmented Reality and other visually rich smartphone technologies. After a summary on the technology, and the story of ARworks, they were divided into teams, and were rotating among 4 “stations” within the office. At each and every station they were experiencing different type of Augmented Reality – Marker based AR on small prints, Marker based AR on events, 360 panoramic photo and video and AR with dynamic marker generation/mobile blue box technology. In spite of their long party night before the visit, they seemed really enthusiastic, understood how AR can be used in marketing and travelled back to Finland with long lasting memories of AR and Budapest.